Summer of 2014. The fans have been waiting for any kind of life sign from the band for quite a while now. 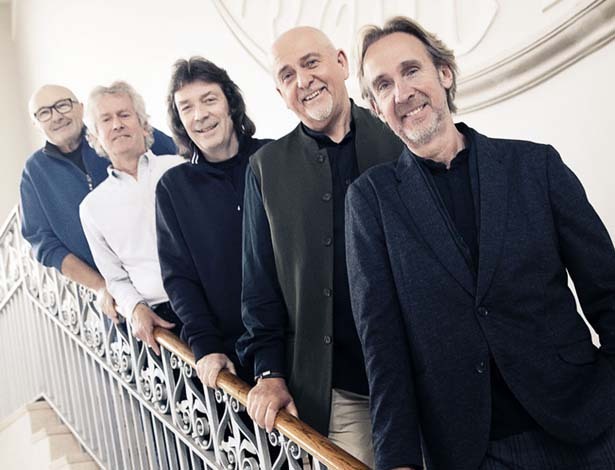 While Peter Gabriel, Mike + The Mechanics and – most of all – Steve Hackett have been touring extensively, providing us with releases, it's been increasingly quiet around Phil Collins and Tony Banks. Phil at least came out of the woods almost a year ago and announced a comeback. Then – a little out of the blue – there was the announcement of the BBC documentary Together And Apart and, finally, a piece of exciting news at the end of August, which wasn't nearly as exciting for fans: a new 3CD set called R-Kive. R-Kive prompts a lot of questions. The title is obviously a word creation alluding to the word “archive”. The cover design though was a far greater cause for irritation and discussion among fans. The letters are jumbled and quite a stretch is needed to read it as “Genesis”. Even more important: whose face is the shadow thrown by the letters supposed to represent? To the content: there have already been a few retrospective albums by Genesis. Most notably Turn It On Again: The Hits (1999), Platinum Collection (2004) and Turn It On Again: The Hits Tour Edition (2007). While The Hits naturally focused on the more commercial phase, the Platinum Collection 3CD set was a relatively complete compilation of previous works. R-Kive is also a 3CD set. 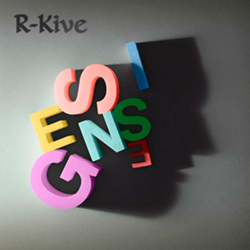 Of course there are many overlaps, but R-Kive has one distinctive feature: the set has three songs each from all five solo careers (Tony Banks, Phil Collins, Peter Gabriel, Steve Hackett and Mike Rutherford). This seems logical if the intention is to market the band as a “family” from now on. It's no coincidence that the BBC documentary Sum of The Parts will be released on DVD and Blu-ray less than 6 weeks later (for more information click here). There are 22 Genesis songs on R-Kive. The selection offers some surprises. From Tony Bank's album Still, there is the opener Red Day On Blue Street, for example. Peter Gabriel's selection surprisingly doesn't include his super-hit Sledgehammer alongside Solsbury Hill and Biko, but Signal To Noise from the UP album. Phil Collins also had a lot to choose from. In The Air Tonight and Easy Lover were both obvious choices, but the inclusion of Wake-Up Call from the Testify album is more surprising. While Genesis included their most successful songs in the set, Gabriel and Collins most successful albums No Jacket Required, ...But Seriously, So and US are not represented. Mike Rutherford's contributions Silent Running, Over My Shoulder and the world hit The Living Years are limited to his time with the Mechanics. Steve Hackett has the first solo contribution on the chronologically structured compilation with Ace Of Wands (Voyage Of The Acolyte was also the first solo album of the classic 5 men lineup) and has another early song from his solo career with Every Day. Here the surprise is probably Nomads (from the album Out Of The Tunnel's Mouth). Anthony Phillips and Ray Wilson are only represented with their contributions to Genesis albums (The Knife from Trespass and Calling All Stations from the album of the same name). Not all songs are the remastered versions of 2007, older remastered versions were selected for Abacab, Mama, That's All, Invisible Touch, Land Of Confusion and Tonight Tonight Tonight. In addition, R-Kive features the album version of Tonight Tonight Tonight. When we inquired further, it was confirmed that the band members chose themselves which mixes of the respective songs were to be used for R-Kive. The above songs were all produced by Hugh Padgham, so it's safe to assume that the band was already quite satisfied with the original versions. The selection is really only interesting because of the solo songs. While it's played safe with Mike Rutherford's songs, both Phil and Peter didn't go for the most obvious choices from their almost endless repertoire. In Phil's case though, it could be argued that this would have happened with any selection of songs, since something would have seemed to be missing in any case. However, Wake Up Call from the not very popular album Testify surely is a personal choice aimed at drawing the focus to his later works. The other two were huge hits. This only goes for Solsbury Hill with Peter Gabriel. It speaks volumes that neither Games Without Frontiers nor Shock The Monkey nor the hits Sledgehammer or Steam are included and the always strong Biko and Signal To Noise from UP are included instead – both political statements and in case of the latter probably with the same goal as Phil's – to draw the attention to the later works. When taking a closer look, one might get the impression that it was done to not let the set end with Calling All Stations. Tony's last contribution Siren seems to hint at that (though it is commendable that a piece of his classical work was included). The same goes for Steve, even though a song from Darktown or Beyond The Shrouded Horizon might have been more fitting than Nomads. In any case, something will always be missing or seem strange with a compilation like this. Ray Wilson's and Anthony Phillips' solo songs aren't included at all. The press release also said that after the release of R-Kive there will be the reunion documentary Gensis: Together And Apart at the beginning of October and, additionally, a DVD called Sum Of The Parts, which is set to be released in the middle of November. Details to Sum Of The Parts can be found on the info page for the release (click here). Unlike the Platinum Collection, which back then came in the now mostly obsolete bulky CD boxes for two to four CDs, R-Kive comes in a fold-out Digipak. On the inside, there is a photo of the band from Lamb-times on the left and a current one on the right (it's an already familiar image from the "staircase session", similar to the photo on the right). The print on the discs themselves is simple and the booklet contains a long intro text by Craig McLean. The text itself reveals a few interesting things: Phil Collins is quoted as saying to always be the one "opposed to constant repackaging". However, he also recognizes R-Kive's significance in directing people's attention to the lesser-known songs that don't deserve being forgotten and overlooked. Hackett in turn perfectly encapsulates with a charmingly sarcastic statement why Ace Of Wands is actually a Genesis song, saying that it was just a different variation of "And Then There Were Three" since Mike and Phil also contributed to the song. While Ray Wilson is completely ignored in the documentary Sum Of The Parts, Tony Banks writes in R-Kive's introduction: "A phase of the band that is easily overlooked, but merits another look". Collins in his part defends his last album with his own songs, Testify, as being better than was thought back then, adding that this was why he chose Wake Up Call. The introduction is a good read and entertaining. It's all about the idea of the Genesis family that can finally present everything that sprung from it. In addition, the cover of every album that has a song featured on R-Kive is printed in the Booklet. It's a little strange though that the ...HITS cover was used for Easy Lover. As a final point, it shouldn't go unmentioned that the new design was another controversial issue. "Unfortunate" would be putting it mildly here. The logo isn't very distinctive since the band name "GENESIS" isn't exactly obvious on the first read. It should also be mentioned though that Genesis never saw a public internet debate about a logo change before. The last decisions in that area simply happened too long ago. R-Kive tries to win over new groups of listeners and to remarket the band as a whole with its impressive solo careers. Accordingly, R-Kive isn't a release for fans, but more like a good introduction for newbies into the Genesis cosmos. We have published a critical view of the marketing concept and the current state of affairs at this link. R-Kive will be released on 29 September 2014 and can be pre-ordered at amazon.com and amazon-uk. Last Genesis Studio album from 1997. Remastered Version from 2007 with new Stereo Mix.